While Black Panther doesn’t hit theaters until February 16th, it’s already set to be one of the biggest films of the year. The film is expected to rake in at least $170 million during its opening weekend and is already being dubbed as one of the best films in the MCU. But as we’ve been following the incredibly talented cast and director Ryan Coogler on their worldwide press tour, something magical has caught our attention. 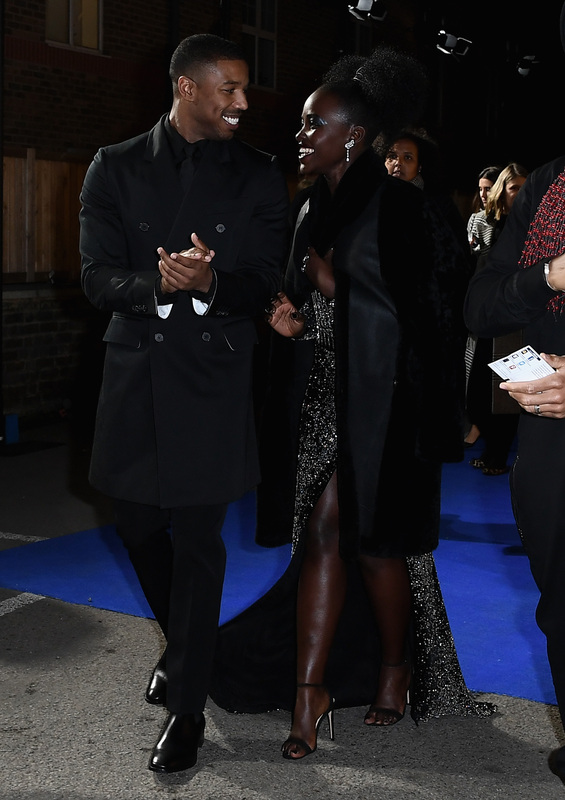 We’re gathered here today, not to talk about the masterpiece that is Black Panther, but rather the undeniable chemistry between Lupita Nyong’o and Michael B. Jordan. Now, the cast of Black Panther is comprised of some of the most insanely attractive and talented people in Hollywood — and based on their various social media accounts, we already know that they had the best time filming the Marvel film. But if there’s one thing we’ve learned on this press tour, it’s that we all need to drop everything and start hoping and praying Lupita and Michael become a real thing. We’ve talked about how they look at each other, right? Okay but for real, if they’re not together, can someone please cast them as love interests in the next great romantic comedy? Because this ship is officially sailing!